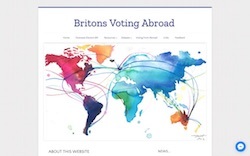 We've just completed a large website that tries to throw some light on the hot topic of voting rights for British citizens living overseas. This is a major resource with many links to academic publications, research papers, journals, blogs, detailed PDFs, procedural documents and much, much more. Because the site is so text heavy, we used a lightweight theme, with a simple, powerful banner image. Behind the scenes there's a custom content management system which looks after nearly all of the content and allows the client to change text and add new research material/discussion papers, together with links to associated PDFs and so on. Interaction with visitors is encouraged and we used the free version of Vanilla Forums to create a message board where people can express their opinions and exchange ideas on this subject. 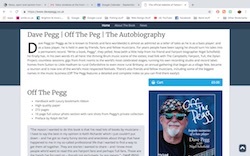 Dave Pegg, the renowned English bass player and member of folk-rockers Fairport Convention approached us to create a website, primarily to publicise and sell his autobiography - Off The Pegg. Being a canny musician, he didn't want to pay on-going fees for an e-commerce platform so we found a shopping plugin that came with a one-off price and no monthly charges. We set this up to work solely with PayPal and created a whole bunch of shipping rules to handle postage around the world. 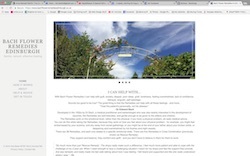 Over time the site will grow and incorporate other elements of his life and work but for now, there's just the book and a simple blog page for news and announcements. Here's a new website we've just finished for a registered practitioner of Bach Flower Remedies, based in the lovely city of Edinburgh - probably our second favourite city...We used an elegant, classic-looking theme from Michael David Designs which features a nice vertical navigation menu and a really well-implemented mobile one, and only tweaked the theme's settings slightly because it felt so well-suited to the project 'out-of-the-box'. The theme has a nice built-in slideshow and we added a responsive FAQ accordion, an inexpensive blog hosted via Tumblr, a contact page with map and a brief description of services. The site performS well on mobile devices and took only three days to build from scratch because the client was organised, engaged with the process, provided speedy feedback and - most important of all - had nearly all of the content ready before work began. GDPR or General Data Protection Regulation is an attempt by the European Union to tidy up privacy laws as they relate the storage of personal information and the way in which that information is gathered by websites. Although primarily designed to bring to heel those companies that harvest huge amounts of information, it also affects anyone who has a website. Whether the authorities will actually come after those small websites which don't comply or not, is another matter - but if you want to take steps to comply with the letter of the law there are several simple things you should think about. First, make sure your site has an SSL certificate. In simple terms, that it has an address that starts with HTTPS rather than HTTP - for example, https://www.hovewebdesign.com. This certificate ensures that any traffic between the site and the people who visit it is encrypted. In addition, from July, Google Chrome will mark all non-SSL sites as 'insecure'. 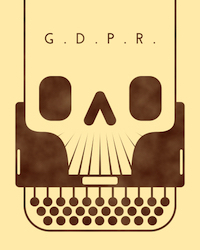 GDPR came into effect at the end of last month. 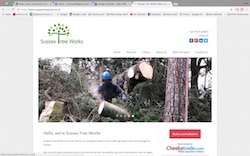 We've just finished a new site for a local tree surgeon, Sussex Tree Works. This well-established Sussex-based firm wanted a site that was simple, showed off the company's range of services, and performed well on mobile devices. We added several before-and-after slides to the Services page so visitors can see immediately the results of procedures such as a Crown Reduction of Hedge Management and we also added a simple feed from Instagram which allows Geoff and his team to upload photos and captions of any works in progress. This keeps the site current in a straightforward and immediate way and doesn't involve any complicated and time-consuming content management. 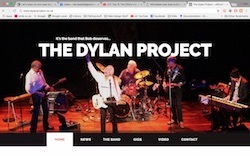 The Dylan Project website needed a bit of a wash and brush up. The fundamentals were there already but the chaps felt it needed cleaning up and wanted to move away from the one-page scrolling model they'd used before. We paired the existing content with a new Rapidweaver theme which allows for a big, bold banner area that still integrates well with the existing design, colour scheme and content. The result is a slick, responsive site that will last the band for years to come. The Dylan Project will tour again this winter and if you're a fan of Bob, this is the band that he deserves. Check them out. 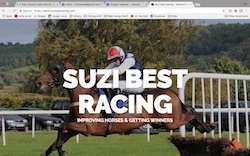 Lewes-based horse racing trainer Suzi Best needed a simple website produced at speed that would still allow her to update the front page herself and also add new photographs to a gallery. Time was of the essence so we chose a theme that let us use a large 'hero' style header image on each page, added a live feed to Instagram for new photos, and incorporated a very basic content management system (CMS) so news could be added to the front page. Top it off with a contact form and a map - which also offers personalised travel directions - and the whole site took just over a day from start to finish.